The real pleasures of an aquarium are often overshadowed by the struggle of upkeep. Worse yet, aquatic animals are unnecessarily sacrificed everyday when parameters like temperature drift into lethal ranges due to failed equipment or other mishaps. A proper monitoring and control system for your aquarium solves both these problems. And while the Apex has been out for years, Neptune Systems realized there was a void in their product offering. Creating a more affordable, entry-level next generation model was needed, and now the need is filled with the ApexEL. 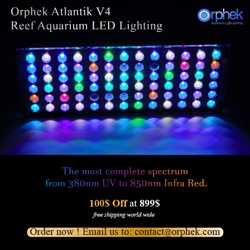 The ApexEL makes keeping your aquarium easier while also monitoring key parameters such as temperature, pH, and the health of your connected equipment, for under $500.00. Get the basics of monitoring and control for your entire tank set up, in less than 15 minutes, with no programing. The ApexEL is a self-contained reliable monitoring platform for when things go wrong and giving you peace of mind that things are going right. 1LINK 24VDC Smart outlets for devices such as WAV, DOS, etc. Switchable 24VDC outlets for accessories such as small pumps, solenoids, fans, etc. Both the ApexEL and the Energy Bar 832 have an innovative attachment system that makes it easy to mount them up and also give convenient access to all the connections. The Apex mounts with just two screws. It has a hinged mount where you can flip it up, make your connections, and then flip it down, making it more difficult for water to enter the electronics via a cable. The Energy Bar 832 has a mounting bracket you screw to the wall with just three screws and then the Energy Bar slides down onto the bracket. 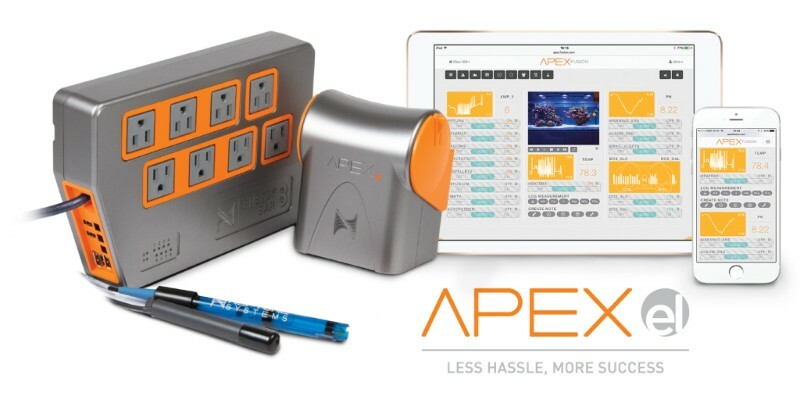 The ApexEL System includes probes for Temperature and pH. The pH probe is double-junction as well so it holds calibration longer and has a longer lifespan than single-junction probes. WHAT’S THE DIFFERENCE BETWEEN DOUBLE JUNCTION AND SINGLE JUNCTION PROBES?